Keep an eye out for the #phopling. 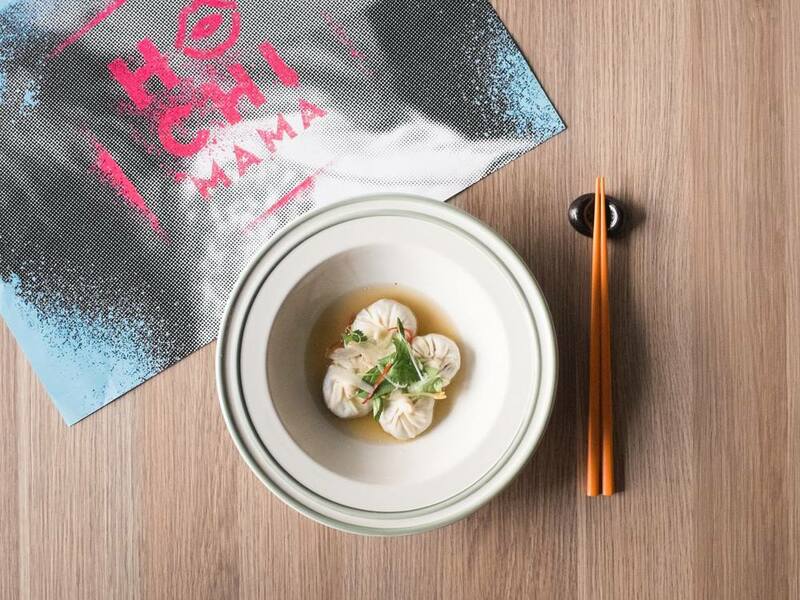 The mash-up of Shanghai soup dumpling and Vietnamese pho is set to become an Instagram hashtag when modern Vietnamese restaurant Hochi Mama opens in Melbourne's CBD on Friday, November 13. Friends Thai Ho, Raymond Phan and Midawell Phal, who have backgrounds running nightclubs, are bringing bar smarts to the restaurant business. Expect '90s hip-hop on the sound system, Vietnamese ingredients such as fresh coconut, lemongrass and sugarcane in the cocktails, and a menu mixing fusion and traditional Vietnamese dishes. Banh mi morphs into a crisp pork belly slider, black sesame ice-cream updates the suburban favourite, deep-fried ice-cream, and a family pho recipe is used for the phoplings. In Sydney, a similar dumpling, known as the phumpling, made its debut at the Lunar Markets for Chinese New Year in February.